>> What’s Better – Working Out in the Gym or at Home? What’s Better – Working Out in the Gym or at Home? Choosing between working out at home or in a gym is a choice that many people make when they want to start an exercise routine. They both have their benefits and they both will require spending money to get equipment or a membership in order to get a good workout. There are several considerations to make when deciding whether you want to join a gym or not. Paying a membership to a gym allows you access to many different types of workout equipment. A good gym is usually set up with treadmills, elliptical trainers, stationary bicycles, and weight lifting machines and/or free weights. You would need to buy several machines and pieces of equipment if you wanted to get the same type of workout at home than you do in a gym. Going to the gym allows you to take some time away from home and work and just concentrate on exercising. This helps you to relieve stress not only by working out, but by getting away from your daily routine. You can leave the kids at home with your spouse or use the gym to unwind after work. It is a great way just to focus on yourself for at least 30 minutes a day, if not longer. Plus, you choose to take classes and meet new people and form friendships or find a workout partner. An advantage of working out at home is being able to workout when you have time. Most gyms have set hours and if you have a family, a job, and other responsibilities, you may not always be able to get to the gym on time. By owning a treadmill, you can squeeze in your exercises when you have time. Whether that means waking up earlier in the morning or waiting until the children are in bed, you can do it when you have 15 or 20 free minutes. If you go to the gym and only use their treadmill, you can buy one for your home and save money on gas and the gym membership. There are many treadmill models that are more affordable than having a gym membership. If you only go to the gym to use one of their treadmills, owning your own can often save time and money that you can use for other things. 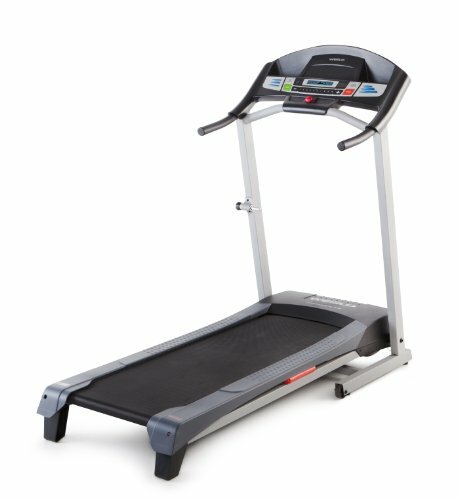 Even if you decide on a more expensive treadmill model, you could have it paid for in just a couple years worth of gym membership fees. Not only will owning your own equipment save money on your gym membership, your spouse or partner can use the treadmill and save on their gym dues as well. This can equal a big savings for your family and you can use that extra money for more equipment if you want to create a bigger home gym for your family. You can add free weights to help you with strength training as well. For someone people though, they need the accountability of going to the gym. If they workout in a class or with a personal trainer, they have someone pushing them to workout harder and be consistent with their workouts. Working out at home, you don’t get that interaction in many cases. While it can be more convenient for busy Moms and Dads, you have to learn to push yourself when you workout. These factors can help you determine which is best for you. If you have the space, owning a treadmill may be best. However, going to the gym may make it easier to relieve stress.